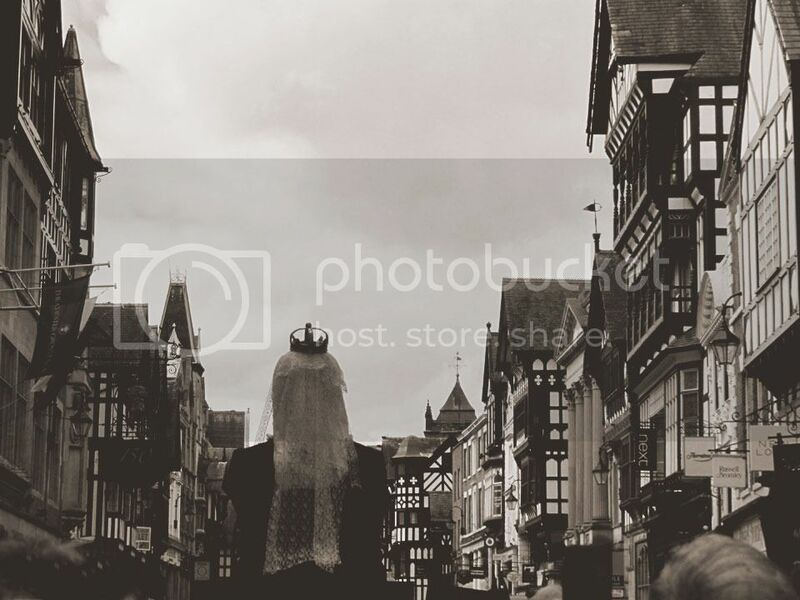 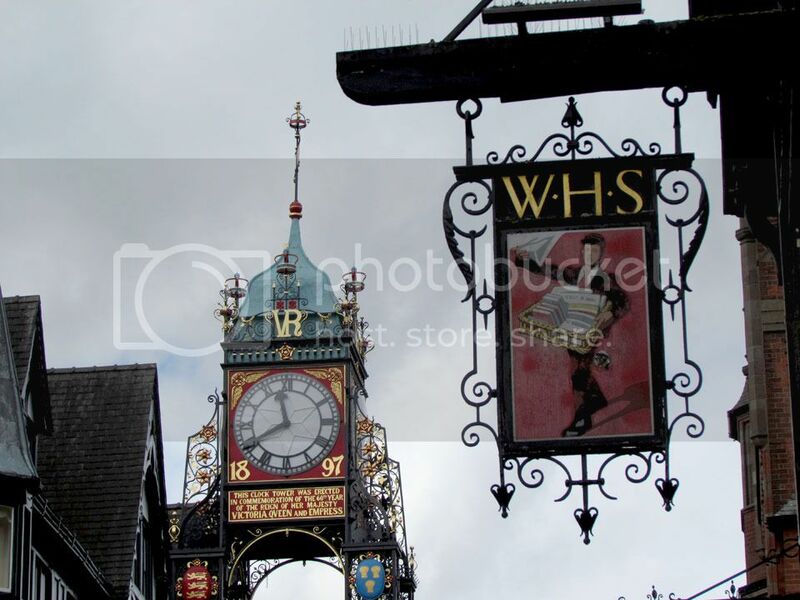 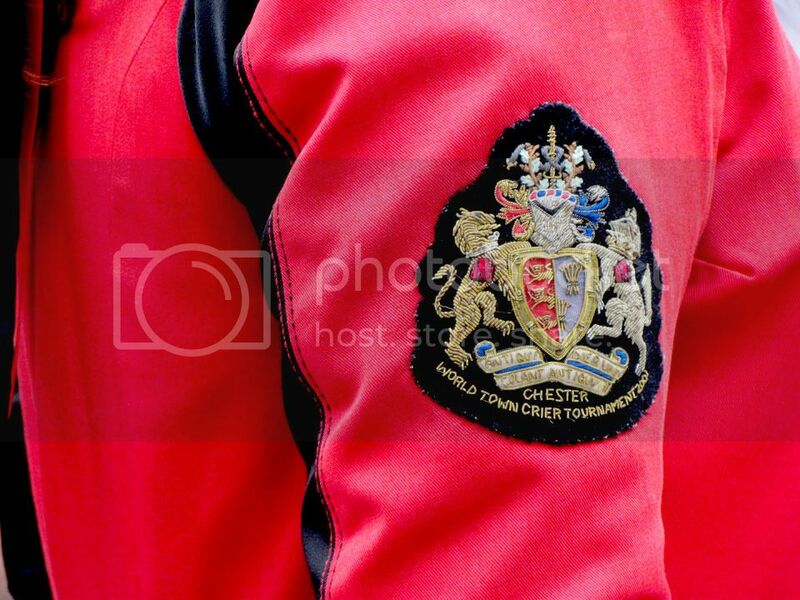 To celebrate Queen Elizabeth II becoming the longest reigning monarch in British history, a record surpassing that of Queen Victoria, my nearest city Chester put on an unusual display. 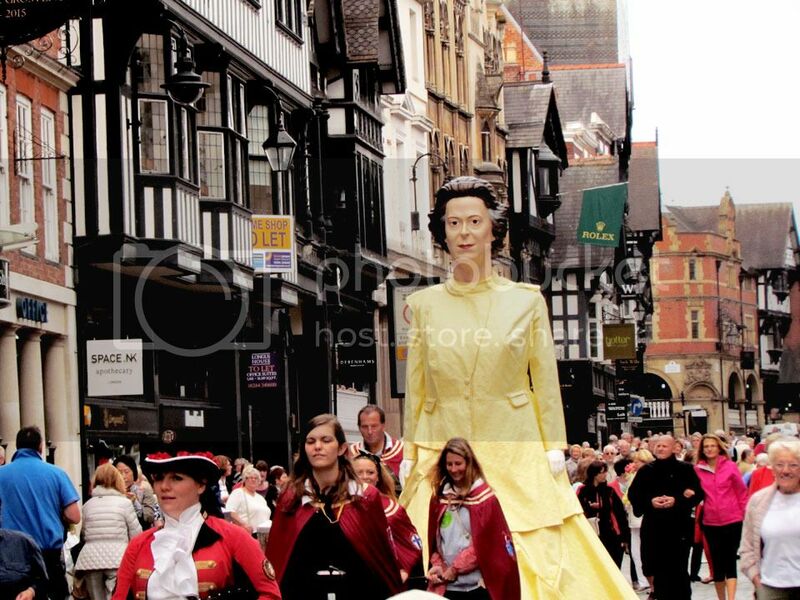 A giant 12 foot tall Queen Elizabeth II met a giant Queen Victoria at Chester's Eastgate and passed over the longest reign title. 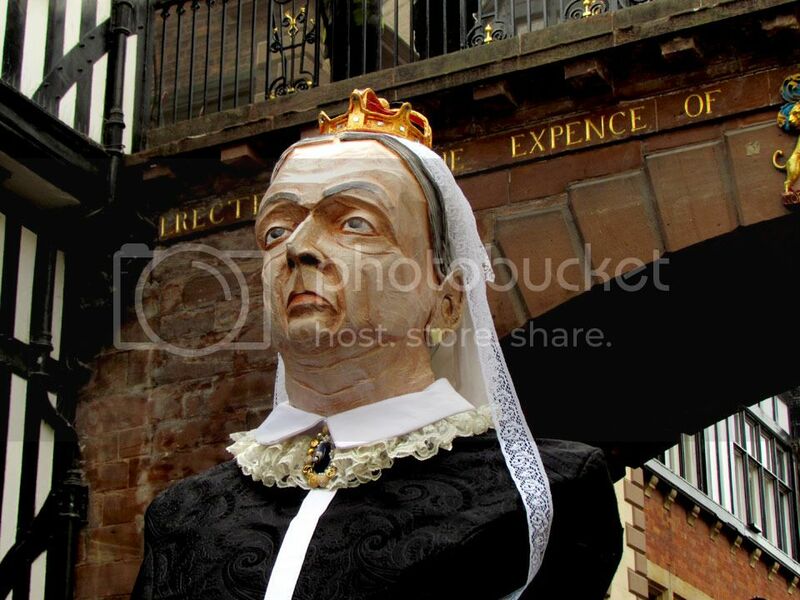 Queen Victoria did not look amused at all about this change in record at all. 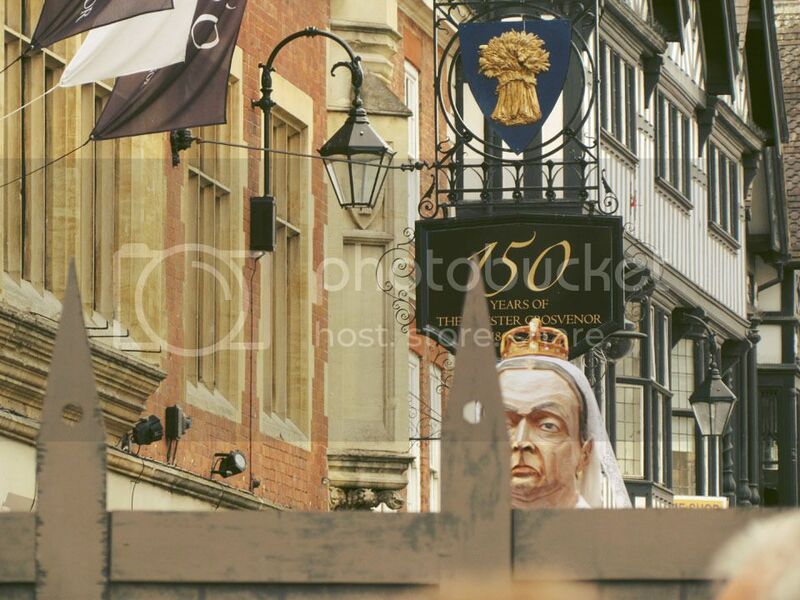 Chester's husband and wife team town criers were out providing the ceremonial entertainment for the many spectators, some waving Union Jack flags. 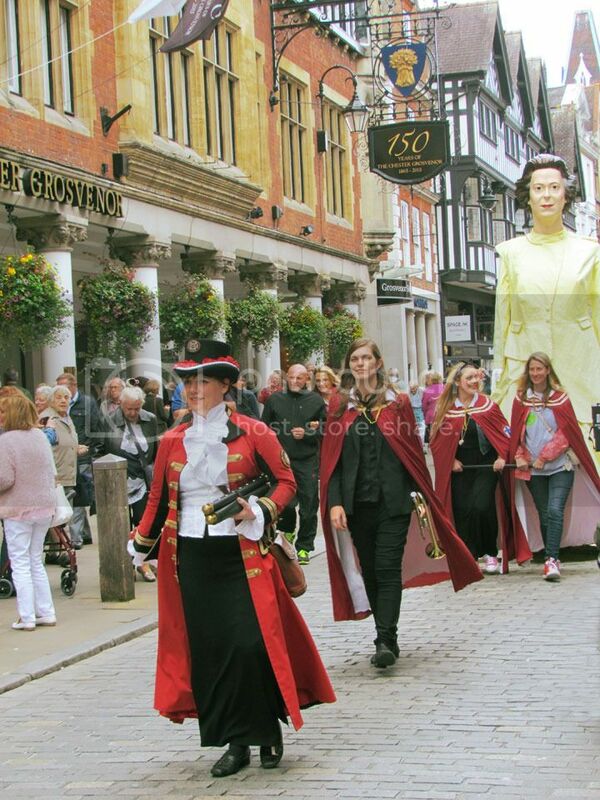 The wonderful giant Queens were made by the same creative team that put together the marvellous Winter Watch parade. 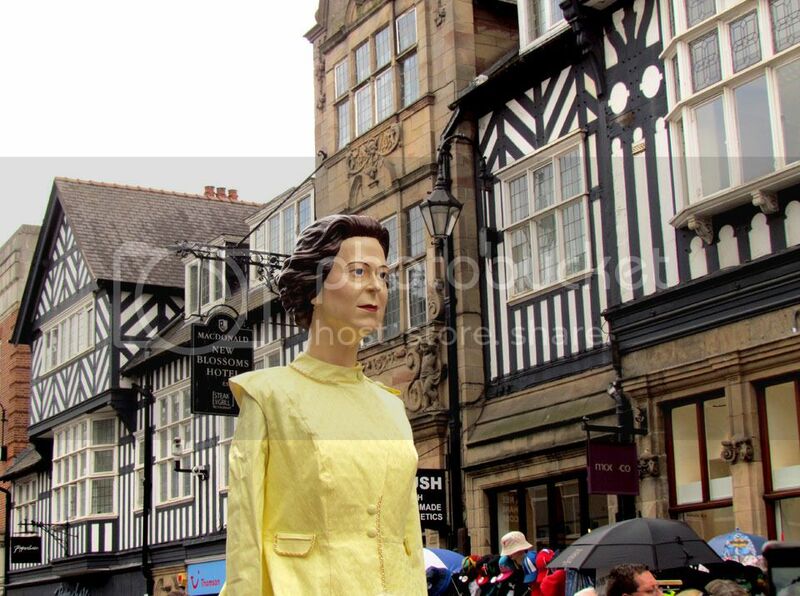 Queen Elizabeth's dress was made by a talented young fashion designer Matthew O'Brien who I was stood next to for a while listening to him talk about his creation. 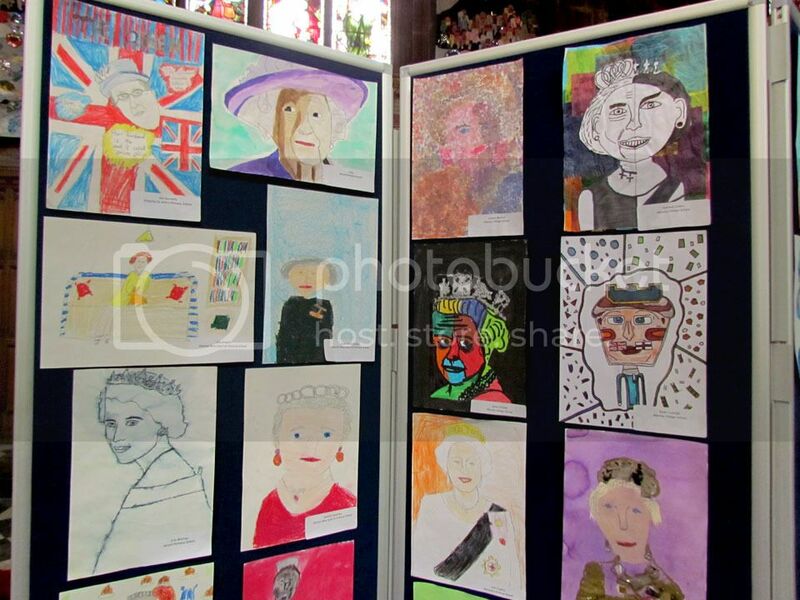 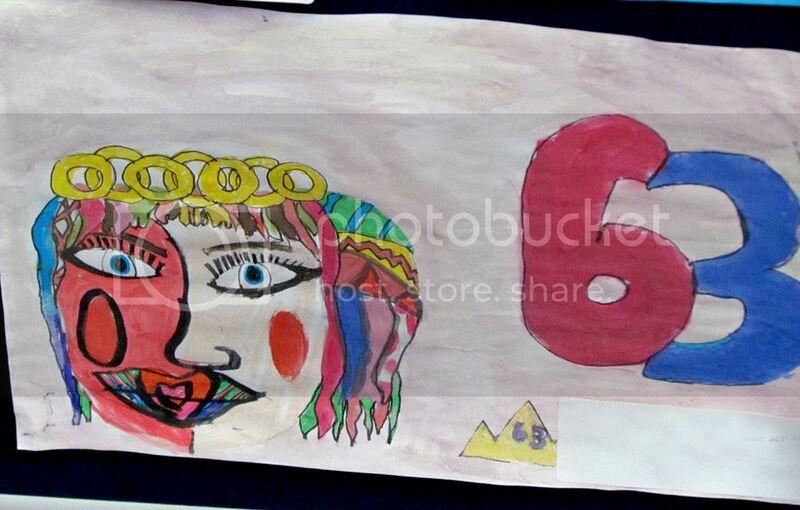 Local school children had put on an art display in Chester cathedral. 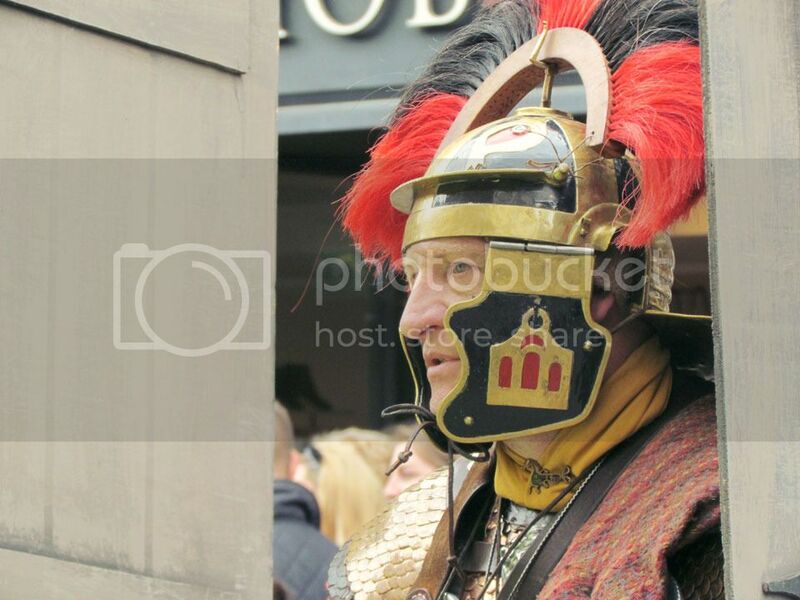 Roman legionaries held the gate that welcomed Queen Elizabeth II into the city and that Queen Victoria left by - still not looking happy unlike the jolly town crier. 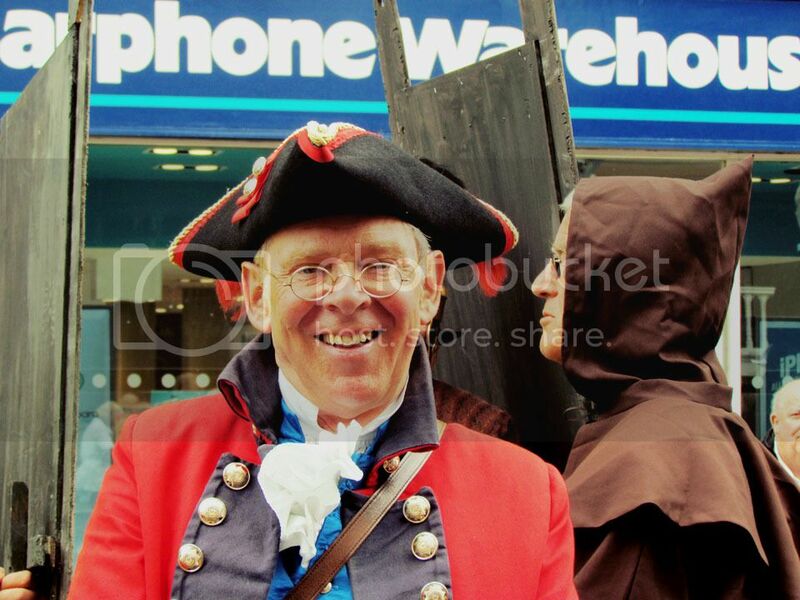 A bonkers British event that we loved. 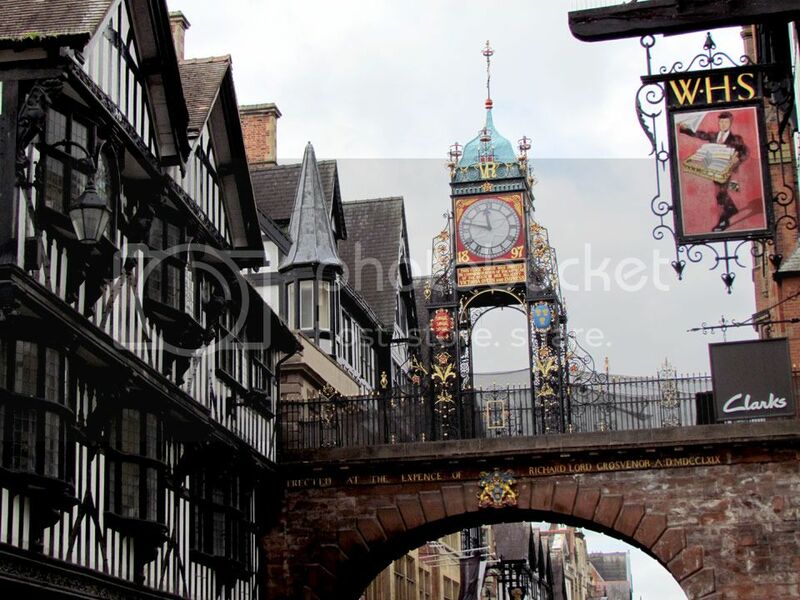 Chester is great at these occasions and always put the effort in to delight the city.